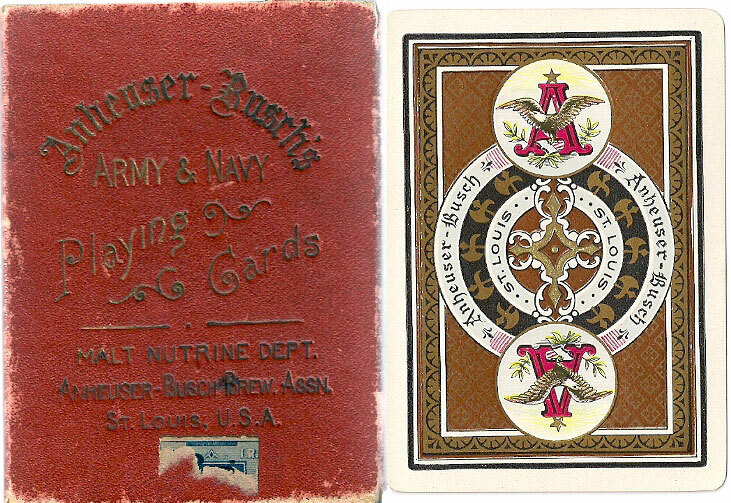 This is the second version of the “Anheuser-Busch Spanish-American War deck”, issued at the end of the war. 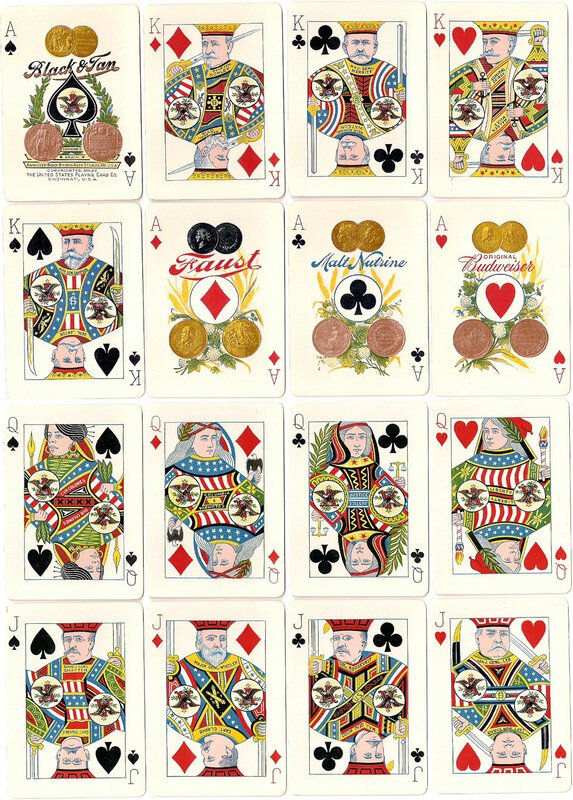 The Kings and Jacks each depict two officers and the Aces advertise brands of Anheuser-Busch beer or ale. 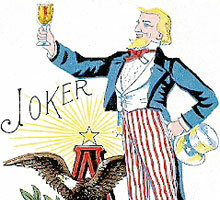 See also: Anheuser-Busch Spanish American War 1, c.1899. 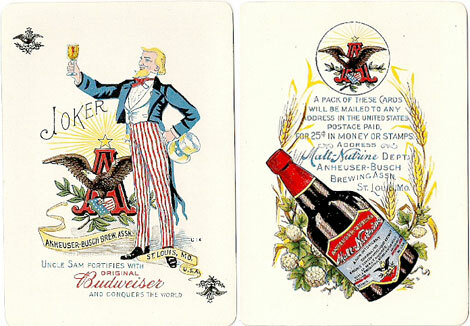 Above: the Anheuser-Busch Brewing Association Spanish-American War deck, manufactured by U.S.P.C.C., c.1900. All the pip cards show a sepia picture of the Anheuser-Busch factory except the fours which each show a picture of a different American war ship. 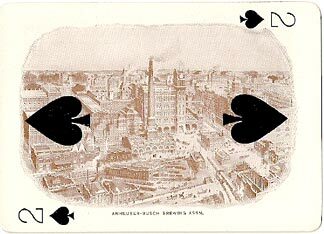 Right: the Joker and extra card offering copies for 25 cents! • See also: Anheuser-Busch Spanish American War 1, c.1899.